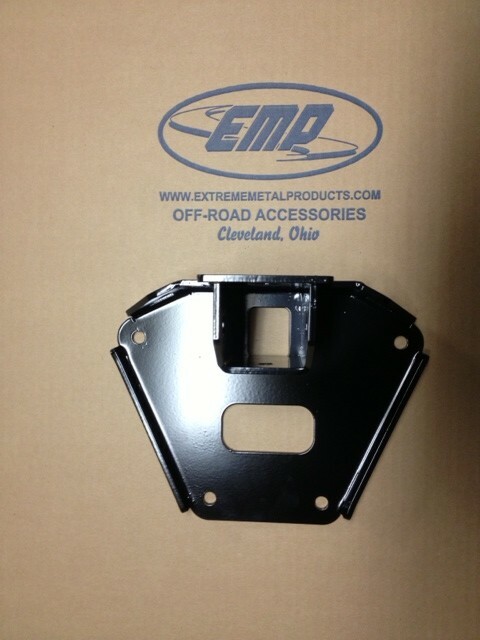 This RZR High Clearance Rear 2" Receiver bolts to your stock control arm bolts and replaces the stock plate. 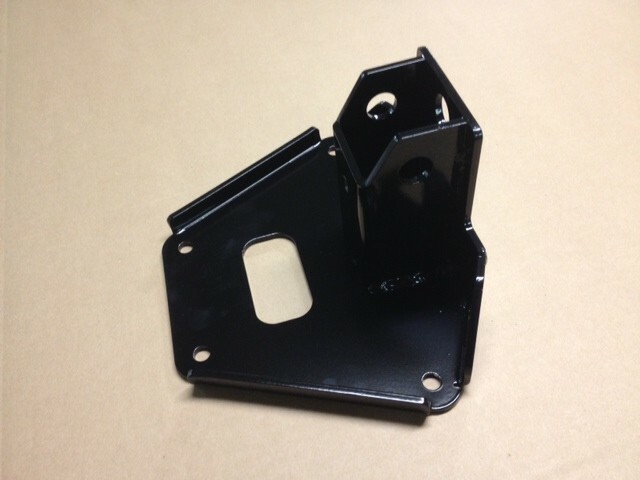 This receiver hitch is constructed from 3/16" thick American Steel. It is Engineered to give the maximum departure angle by raising the 2" receiver as high as possible. This hitch has a 45 degree cut in the bottom increasing the clearance even more. The maximum towing capacity for this 2" hitch is 800 lbs. 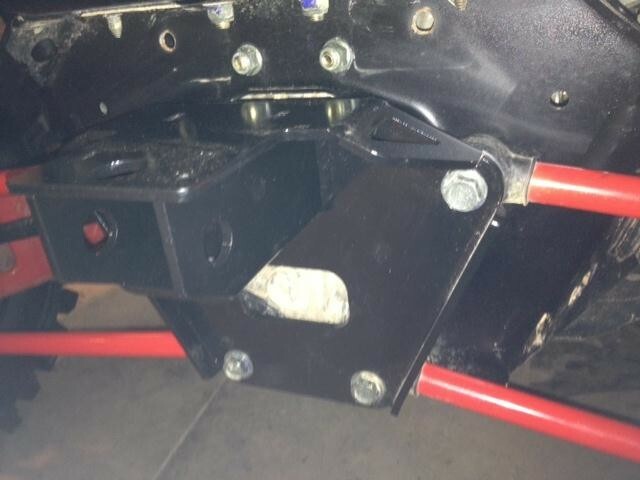 NOTE: Because this is made for both the XP900 and XP1K, when it is mounted on a RZR XP1K the hitch will slope down a couple degrees. It is due to the design that will fit both. 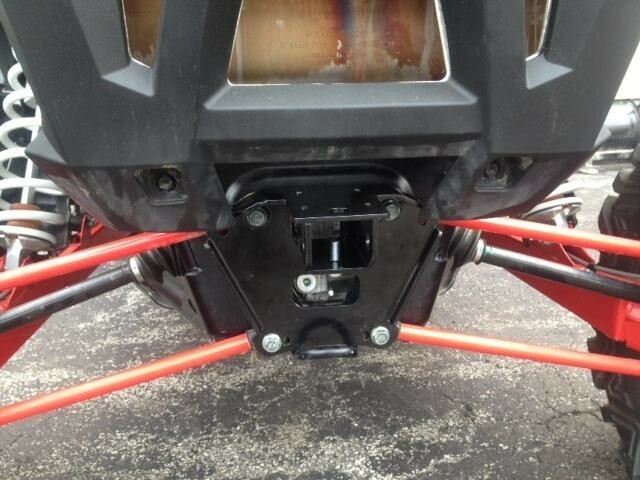 Please, see you RZR owner manual for vehicle towing capacity. Do not exceed manufacturer towing capacity. Serious injury could be a result if you tow more than the vehicle is designed to tow.